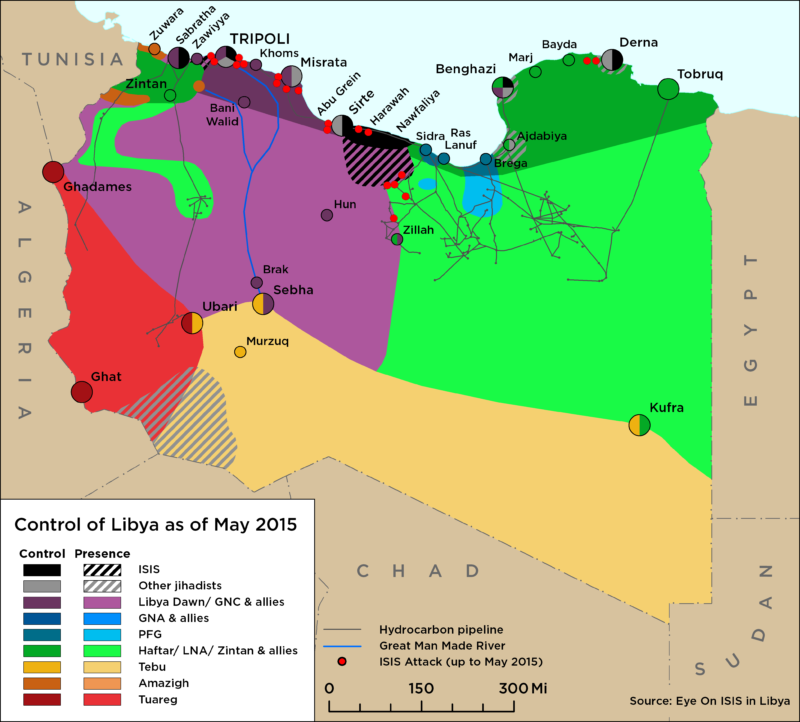 On 26 August, the Kani militia (also known as the 7th ‘Liwa’) deployed from Tarhuna to south Tripoli. The Kani militia took over Gasr Ben Ghashir (where Tripoli international airport is located) as well as important military barracks and positions previously held by the 301 Brigade – the latter reportedly withdrew after some defections in its ranks. 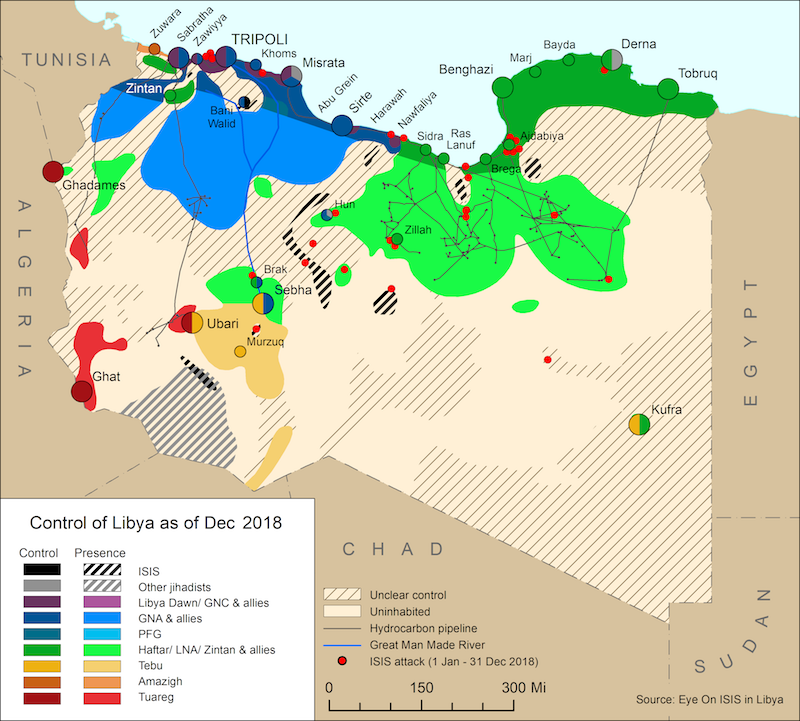 The move provoked Tripoli armed groups, organised under the Government of National Accord’s (GNA) Tripoli military zone led by Abdul Baset Marwan, to deploy reinforcements to these fronts. These included the Tripoli Revolutionary Brigade (TRB), Abu Salim’s Central Security Brigade aka Ghneiwa’s militia, and the 301 Brigade. On 27 August, clashes broke out between the militias south of Tripoli, despite the parties involved being nominally GNA-affiliated forces. Several homes in various areas south of Tripoli were damaged as a result of artillery fire, with reports of at least 5 civilian deaths and many residents fleeing their homes. On 27 August, Tarhuna tribal spokesperson made a TV statement, criticising the GNA’s response to events, confirming that the 7th Liwa is a GNA-affiliated force of the national army, and calling for all tribal members in Tripoli to defect from Tripoli-based militias otherwise they would be considered legitimate targets. The GNA’s Prime Minister Fayez al-Serraj, the GNA chief of staff and the commander of the western region military zone issued a statement condemning the assault of lawless militias on the capital, promising swift and decisive response. A temporary ceasefire held overnight through to 28 August, but tanks and Howitzer canons were reported to be moving towards south Tripoli. TRB leader Haithem al-Tajouri also returned to Tripoli on 28 August. The situation remains volatile and tensions are likely to escalate in the coming days.